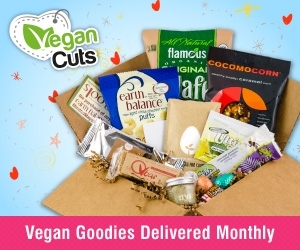 Oh dear, so many tasty things – meet my first Vegan Cuts snack box. 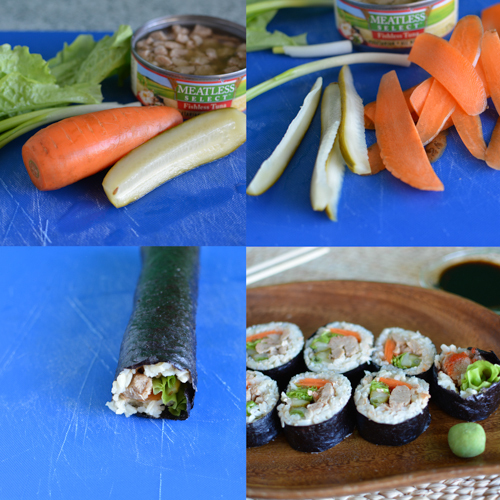 Stay tuned to the end of the post where I share a recipe for Tuna Salad Nori rolls using one of the snack box items. 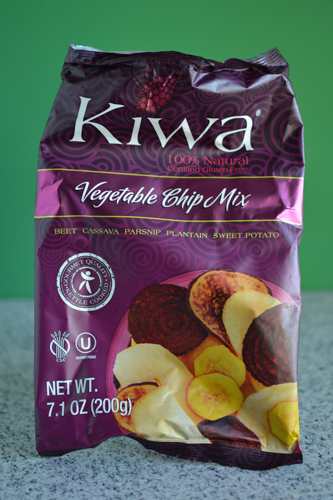 I’ll start with the first item I opened and devoured, Kiwa Vegetable Chip mix. They were so good in fact that I have not a single picture of the chips, but rest assured they looked just like the picture on the bag. I came home from a 3.5 mile hike to the arrival of the snack box. I only had a small smoothie that morning so these were a much appreciated sustenance in between meals. 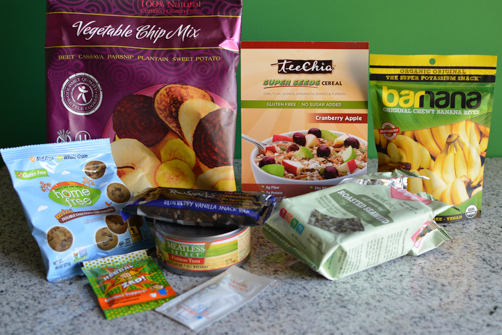 The bag contained beet, cassava, parsnip, plantains, and sweet potato chips. They weren’t too hard or too salty – just right. The plantain chips surprised me the most, I don’t think I’ve ever had them. They were thicker than potato chips but they have a softer crunch so it works. 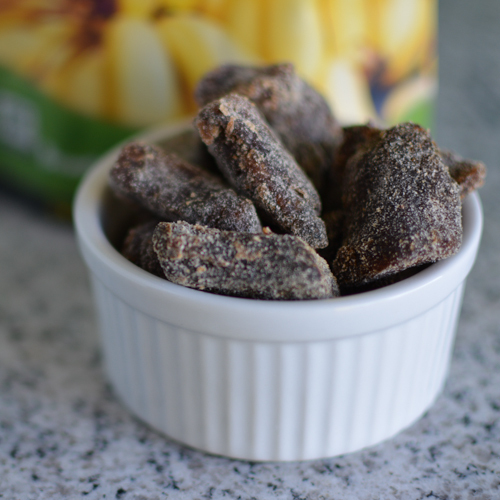 Next up is Barnana, chewy banana bites. They are fantastic, raw, gluten-free and of course vegan. 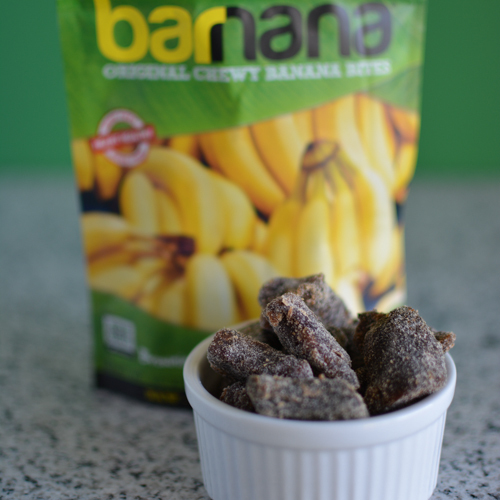 The only ingredient is organic bananas and there are 2.5 servings per bag. 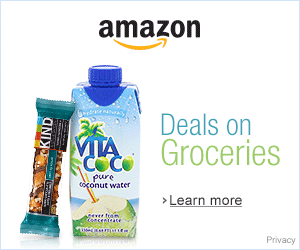 Each serving provides 2 g protein, 4 g fiber and 14% potassium. They kind of have the texture of processed dates except nowhere near as sticky. I just saw on their site they have chocolate ones. World stops. 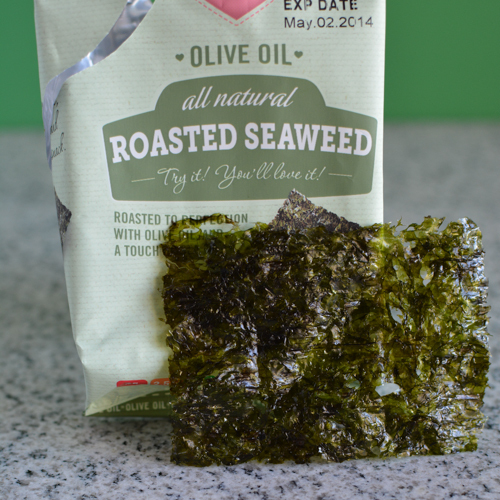 Have you had roasted seaweed snacks? They are a nice and simple snack—just smaller pieces of lightly seasoned, roasted nori. I have seen a variety of flavors amongst the numerous brands (Trader Joe’s, Sea Snax, and Annie Chung’s). These are Seaweed Love’s olive oil roasted seaweed. Cookies?! Double chocolate cookies? Yes. These are Home Free mini double chocolate chip cookies. 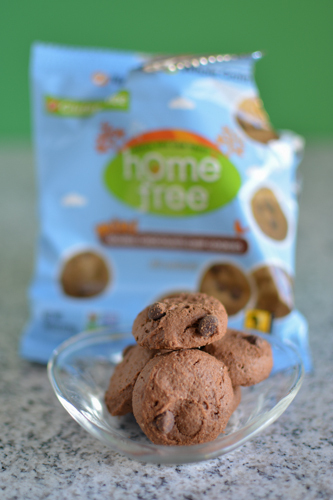 They are home free because they are free of common allergens: peanut, tree nut, egg, dairy, gluten, and soy. They are also free from cholesterol and trans fats and low in sodium. 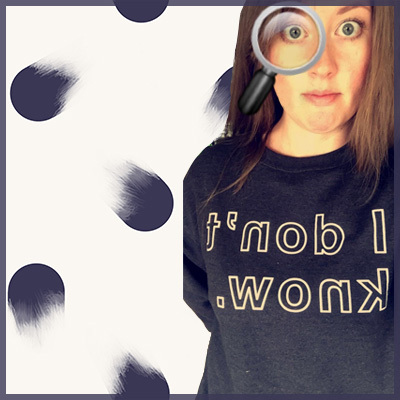 With all the things that aren’t in them, you are probably wondering what is in them and how can they be good? I’m especially skeptical about gluten-free, even though I’ve had many delicious gf baked goods, there are still the bad ones that stand out the most. These were excellent! There are 6-7 cookies per 0.95 oz bag and they are a little bigger than a quarter in circumference. They are crunchy cookies like Chips A’Hoy but boast a much better ingredient list. 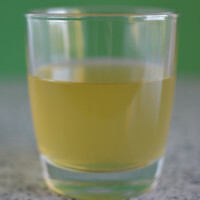 Ingredients: Gluten free whole oat flour, evaporated cane juice, high oleic safflower oil, natural chocolate chips (evaporated cane juice, chocolate liquor, non-dairy cocoa butter), demerara sugar, non-alkalized cocoa powder, organic tapioca starch, apple juice concentrate, baking soda (sodium bicarbonate), organic pure vanilla extract, salt, baking powder, sunflower or canola lecithin (non-GMO), xanthan gum, rosemary extract. Another gluten-free item I won’t run away from. 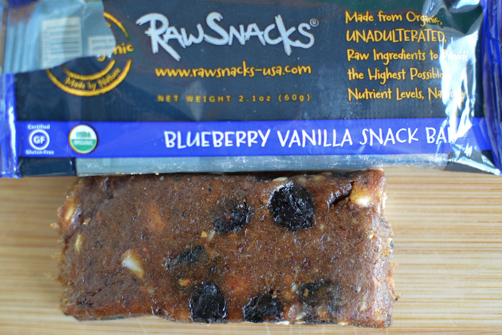 Another raw snack from the box is the Raw Snacks’ Blueberry Vanilla Snack Bar. 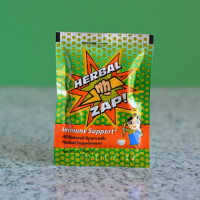 They have a good ingredient list of dates, cashews, almonds, blueberries, vanilla bean and coconut oil—all organic too. They had a light flavor and are very gooey, a little hard to slide out of the package. If you can imagine the filling of a fig newton, it is kind of like that. Each bar is 220 calories with 9 g fat, 5 g fiber and 5 g protein. A good hiking snack or pre/post workout fuel. 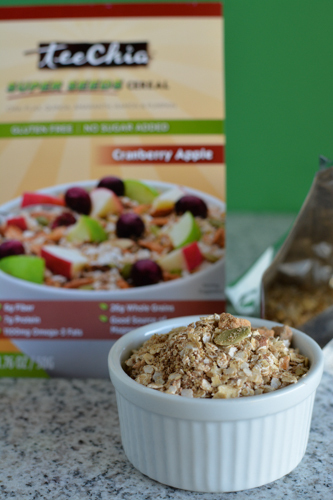 Next up Tee Chia’s Cranberry Apple Super Seeds Cereal. 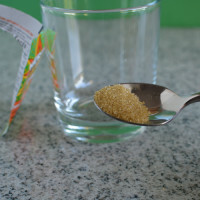 This single serving cereal came with a nice card explaining the ingredients and how to make the cereal, which is just adding hot or cold water and allowing it to absorb. I haven’t tried it yet, but it smells delicious. It reminded me of the single serving cinnamon apple oatmeal we grew up with but again much better ingredients. This single serving is 200 calories, 6 g fat, 5 mg sodium, 9% potassium, 6 g fiber, 7 g protein, 4% calcium, 10% iron, and 20% magnesium. Cranberry Apple Ingredients: Gluten-free organic rolled oats, organic quinoa seeds, dates, roasted almonds, organic ground chia seeds, organic ground flax seeds (golden & brown), organic amaranth seeds, organic dried apples, organic pumpkin seeds, organic dried cranberries (cranberries, apple juice infused), organic cinnamon, organic roasted ramon seeds, natural apple flavor, natural cranberry flavor. Packaged in a facility that also handles tree nuts. I might try this as cereal tomorrow but they also included a recipe card for TeeChia Energy balls, made from the addition of dates, walnuts, and raisins. I think it might be fun to try that recipe. If you’re familiar with EmergenC, you will notice the similar packaging but this is Herbal Zap, an herbal based cold and flu supplement. 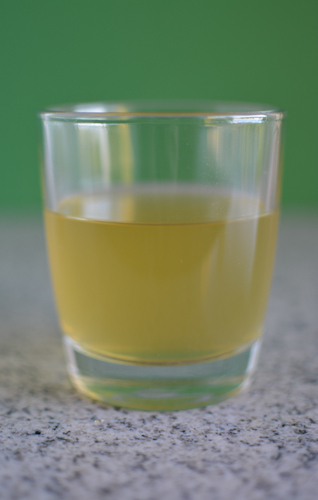 Read more about ayurveda and the benefits of each ingredient here. 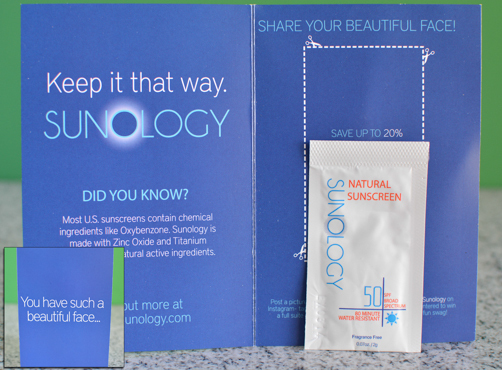 Sunology, a natural 50 spf sunscreen sample also came with the snacks. I look forward to trying this, I’m not a fan of sunscreen and all the chemicals involved, so I only wear it when it’s absolutely necessary. I like how they boast the difference between standard sunscreens and their brand. 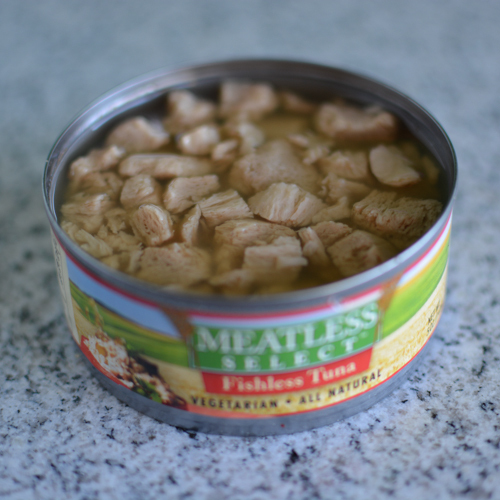 Last but not least, Meatless Select Fishless Tuna. This product stuck out the most because I immediately thought why are they sending cat food in the snack box? It never dawned on me there could be a vegan fishless tuna. It’s not cat food folks, it’s a textured soy flour product. It’s not something that would be a staple in my cabinet but it was good and certainly interesting. The texture reminded me more of canned tuna and I guess the flavor was close to tuna, without being fishy at all. I used the ‘tuna’ to make a unique dinner last night, something totally different from just slapping it together with vegan mayonnaise and throwing it between two slices of bread. 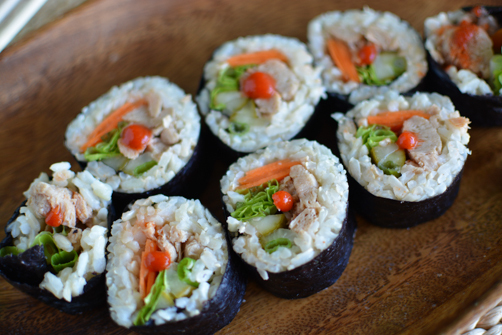 Meet today’s recipe, Tuna Salad Nori rolls. They are filled with some typical tuna salad additions like pickles, lettuce, celery, onion, and fishless tuna. Along with nutritious carrots, brown rice and nori to complete the roll. 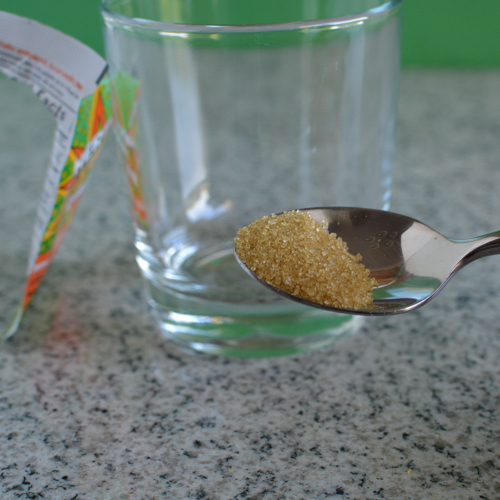 The tapioca starch helps stick the rice together without having to over-cook or use sticky rice and the rice wine vinegar gives it a little extra flavor. I love making nori rolls and when the rice is on the inside, I find no need to use a mat. It’s always nice when you don’t need extra equipment. I placed the lettuce on last and left about a segment of nori on each side of the roll for nice seams. Two nori rolls, approximately 16 pieces, can serve one or two people. 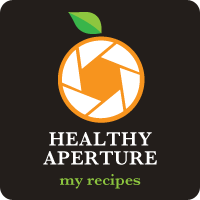 The nutritional information is for the entire recipe. If dividing between two people, divide nutrition in half. In a very small bowl mix 1 teaspoon of water with wasabi powder and stir until a paste forms, roll into a ball and set aside. Heat will intensify while resting. 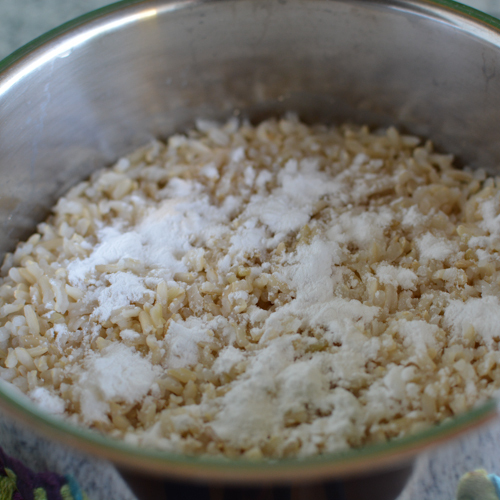 Add rice and 1 cup of water to a small saucepan and bring to a boil, once boiling cover and turn down to low heat. 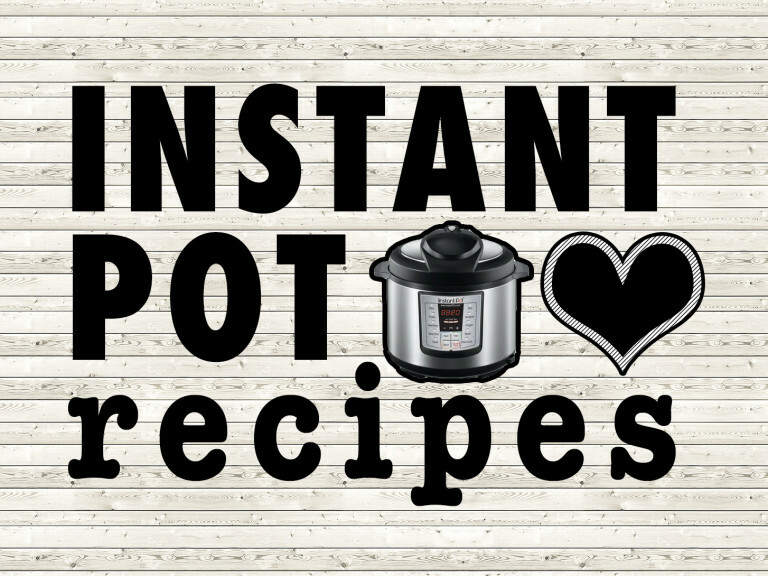 Cook for 45 minutes. When done add vinegar and tapioca starch and stir to combine. Set aside. On a cutting board lay out nori and divide the rice over each sheet (about 1/2 cup per sheet), spread out with fingers or a spatula starting one segment in. 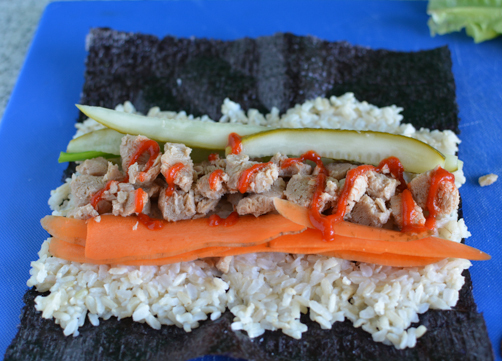 In the center of the rice, lay a column of fishless tuna (about 1/2 the can) and surround lengthwise with strips of carrot, green onion, celery, lettuce, pickle and sriracha - also divide the veggies over each sheet. Starting at the end closest to you, roll it towards the center, pushing the filling in as needed and finish rolling out, when you get to the last inch, dip the fingers from one of your hands in water while the other holds the roll, moisten the very end of the nori and close the roll. The water will help moisten the nori so it sticks, sealing it off. Allow to rest a minute and then cut into 7-8 slices with a sharp knife. Repeat for 2nd roll. Arrange on a plate and serve with tamari and wasabi. I hope you enjoyed the review as well as the recipe, I certainly did! Are Kiwa products sold in Canada. Ont? Hi Barb! 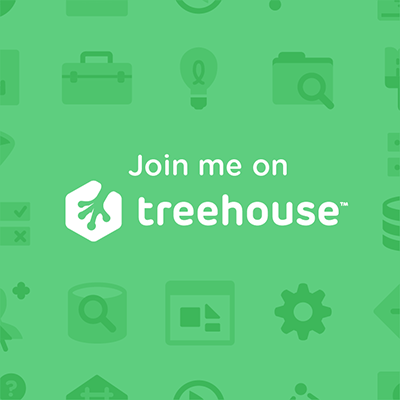 Sorry for the late reply – I have 2 messages out to them to find out. I’ll let you know.